As people are living longer these days, you may have to take care of the senior in your family for a longer period of time. According to the “Life Expectancy at Birth by Region” chart, the average life expectancy in developed regions went from around 66 in the 1960’s to around 78 the in 2010’s. It is estimated to move up to about 83 years of age in the 2040’s. Although we may live longer in the future, our bodies will still go through fatigue in the later years in life which require assistance. Many seniors are more prone to falling over during these times which can lead to a serious fractures. Since family members might not have the time to take care of their elders, it leads many to seek for care options. This article will provide you with some information about each of the different types of services there are to help your elder. A lot of times, the elderly dread the thought of living in a nursing home. Some seniors simply prefer to live in their own home until their last days. For example, when my grandmother started needing assistance, our family mentioned that we could take her to a nursing home. Her reply was always the same – she insisted that she could take care of herself at home to get off that topic. In reality, she needed assistance because it was hard for her to see, hear, and get up from the couch. In cases like this, in-home care is an option to allow them to stay in the comfort of their homes and get assistance from a caregiver when scheduled. Most home care agencies are non-medical so many of them only cover basic assistance services. This service is typically private-paid but some long term insurance companies are covering the cost of this option. It can cost anywhere from $15 – 24 per hour for this service. 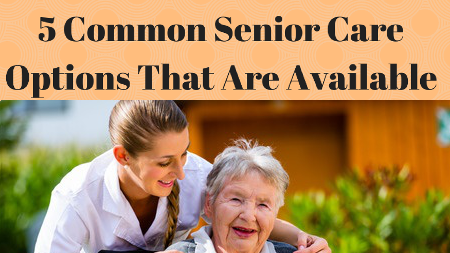 This is sometimes known as home health care and is needed when a more specialized caregiver visits the senior in their home. It is similar to the in-home care services described above, except a licensed person such as a registered nurse helps them. This is typically needed after a patient is released from the hospital and may require close supervision by a healthcare professional. Independent living is also commonly referred as a retirement living community. This is basically a small neighborhood area where other seniors live. They often consist of apartment complexes or condos. These communities are great for elders that are healthy but want security. Some even offer meal preparation, house keeping, and transportation services. This is a step up in assistance from the independent living communities. I consider is a combination of a medical home care service and an independent living community. Elders have more private space than a nursing home, but still have the same services from nurses. Most people are familiar with nursing homes because traditionally, they are the most used senior care services. I like to consider these as similar layouts as college dorms for elders to live in. Seniors live in the same building but each have separate rooms to sleep in. They are offered medical assistance from nurses if needed and is somewhat similar to a hospital layout with a little more comfort. That should give you a little background on each type to help you begin your search. If you haven’t already had to care for your elder parent or grandparent, you may have to in the future.